This weekend, Saturday 14th and Sunday 15th November from 11 a.m. to 5 p.m., the DLR County Enterprise Board Winter Fair is taking place in the Heritage Centre, Dalkey Castle, opposite the church in the main street. 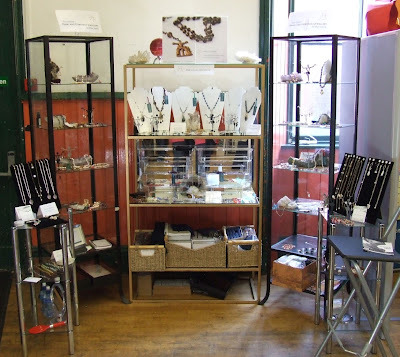 I will be there along with several other members of the DLR Jewellery Designers network, and there will be other artisans showing a variety of crafts and other products. 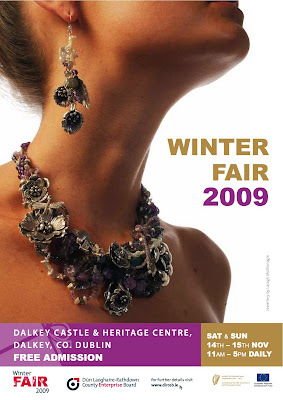 The poster shows one example of the sumptuous necklaces and earrings created by the very gifted Laragh McMonagle, who will be also be showing her new range of exciting pure silver rings. 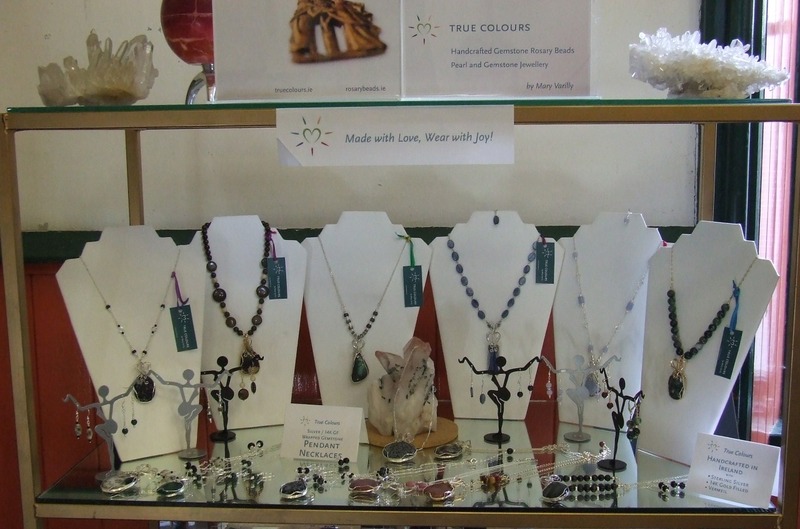 And if you see something you would like if made a little differently, or have an idea of something you'd like me to make for you, just let me know. I love to create for a real and known person!